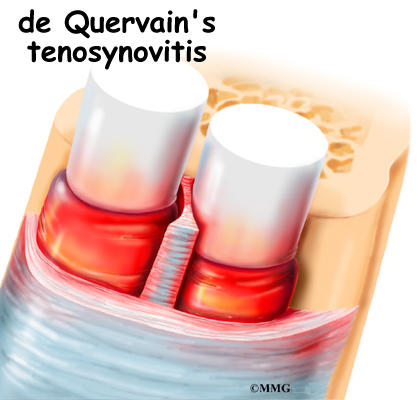 The surgeon moves aside other tissues and locates the tendons and the tunnel. 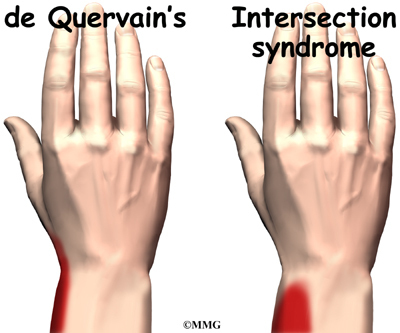 An [imagelink href="http://www.eorthopod.com/images/ContentImages/wrist/wrist_dequervains/wrist_dequervains_surg02.jpg"]incision is made to split the roof, or top, of the tunnel[/imagelink]. This allows the tunnel to open up, creating more space for the tendons. The tunnel will eventually heal closed, but it will be larger than before. Scar tissue will fill the gap where the tunnel was cut.